They may call it ‘hockey on horseback’ in some circles, but there’s one thing for sure that differentiates polo from hockey and that’s it’s popularity or lack thereof. Polo is rare, polo players are even rarer and the matches? Well, they usually happen somewhere off the radar of the vast majority of the population. And its rarity isn’t a bad thing. It means you, as a polo player, get to be unique. You are part of an elite club, a club so elite and so secret most people don’t even know it exists! That said, when you tell people that you play polo or that you can’t make that dinner because you’re playing polo, well you may get some weird, funny, and downright confused looks and remarks. 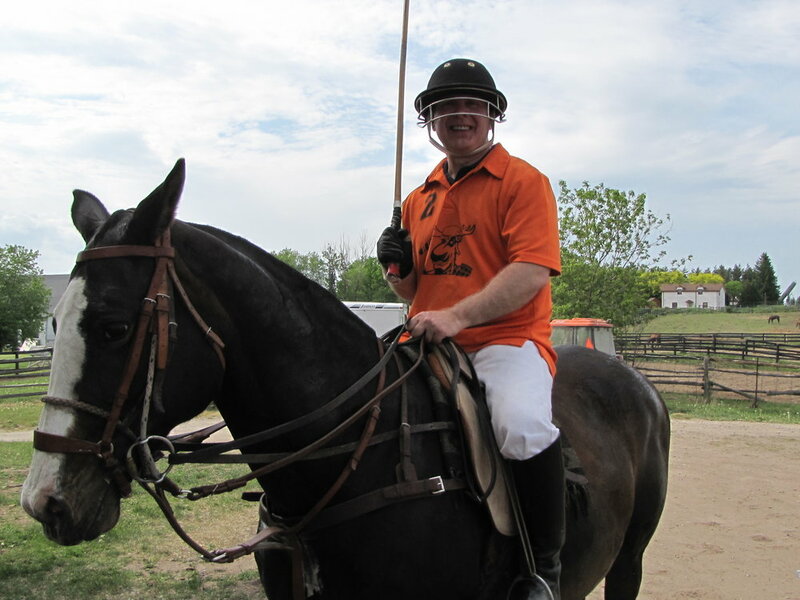 We’ve compiled a list of the best, most stereotypical responses from people that players could get when they say they play polo and we’ve even provided a list of possible responses, to help you explain your penchant for ‘hockey on horseback’. Probably one of the most common responses people will have when you say you’re a polo player. For some reason when you say ‘polo’ most people are trying to reconcile you with their stereotypical ‘Pretty Woman’ Royal Family polo player image and the two aren’t connecting…so the next logical explanation just HAS to be water polo…we don’t understand it either. Possible Responses: ‘yes’ (simple but effective) OR ‘of course, what other kind of polo is there?’ (feign ignorance towards water polo). There might be a theme developing. Polo’s reputation as the ‘Game of King’s’ often has people thinking literally, and for some reason, they seem to think the polo world is so small that you just must have taken to the field with the only polo players most people know of. Possible Responses: ‘the polo world is small but not THAT small’ (the truth) OR ‘of course, Will and Harry and I play together ALL the time’ (sarcasm). Most people think polo is a sport played by the English Aristocracy in the English countryside and not much else. They’re not aware of it’s global network and its popularity among South Americans and the rest of the world. Think back to before you learned to play polo, did you know Argentine’s dominated the sport and that it was played in over 50 countries worldwide? If you did, then bravo you! 4. “I’m wearing a polo shirt! In everyday life, the only time the word ‘polo’ comes up is in conjunction with the brand ‘Polo Ralph Lauren’ or shirts of the polo variety. Some people may be so stunned and lacking a response when you say that you’re a polo player that the first thing that pops into their head is the popular connotation of polo and fashion. Another popular connotation of polo is the popular movie Pretty Woman. You’ll sometimes hear people refer to their ‘Pretty Woman’ polo moment. For most people this and other Hollywood depictions are the only instances that they’ve seen a polo match, so naturally they want to know if the silver screen versions match up with the real thing. 6. “How exactly does that work? These are the people that are genuinely curious (future polo players?!). They want to try to understand the what, how, why, and who of polo in Toronto. So take your time to explain things as best as you can, you never know where the next polo addict or fan will come from! Like most sports, people associate them with teams. And so people will automatically jump to wanting to know what team you play for as a way to assess how good you might be. Handle this however you’d like, the politics and complexities of polo teams never make for a straight cut explanation. Possible Responses: tell them your own polo origin story OR ‘I took lessons or a clinic at the Toronto Polo School’ etc. A similar reaction to the one above. These people are the people who never thought they’d be standing face to face with a real live polo player. They’ve run through all the above responses and settled on the overarching ‘how’. These are the people that thought polo and polo players only actually exist in movies, on the pages of Hello Magazine and in the glossy ads for Ralph Lauren and US Polo Association clothes. Let’s just say you’ve thrown them a curve ball with your penchant for polo, and they’re currently searching their minds for everything they know about polo to come up with the right question to ask next, their first response was just a way to buy time. Whatever the reaction you get when you tell people you play polo, own your response and your uniqueness as a polo player because let’s be honest it and you are pretty cool. There’s plenty of good reasons why now is a good time to learn to play polo besides the obvious of it being a fun and adrenaline filled sport with an exciting lifestyle to boot. For starters, the long-awaited arrival of summer weather means that the Toronto Polo season is at its peak with all the players migrating from indoor and all-weather outdoor arenas to the huge grass fields located just north of the city. When you’re standing field side, you’d never believe that you’re only about an hour and a half from the downtown core. And if playing isn’t for you, watching the horses and players fly around 10-acre fields that are kept in perfect condition chasing a little white ball is a pretty great way to enjoy the Toronto summer and escape the heat and congestion of the city. 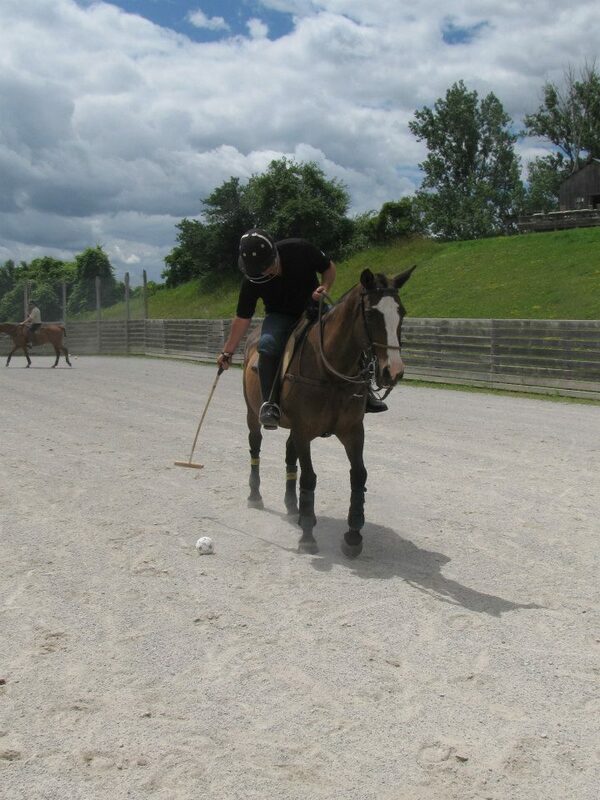 Polo also provides an excuse to get outside and enjoy the summer weather. Imagine finishing up at your office a little early to end your day out in the country getting some exercise and learning something new. It really is simple and accessible. We offer one-day introductory polo clinics, a way to get your feet wet and see what the world of polo is really all about, and if you like what you see our eight-week polo school can take you from a complete beginner and make you into a novice polo player in a manner of weeks. And once you’ve gone through the learning process, polo just keeps giving. 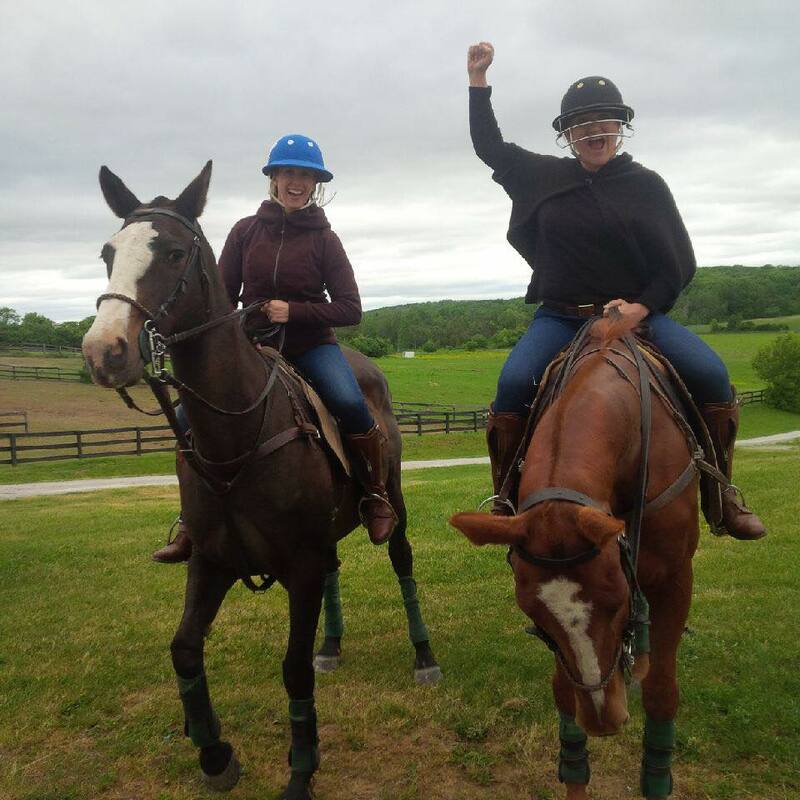 Winston Churchill once said; “A polo handicap is a passport to the world,” because learning to play polo and earning that coveted handicap, even if it is just a -2 (the lowest possible handicap), literally opens up a world of opportunities for you. Polo is played over 70 countries worldwide and has a strong culture of travel and hospitality surrounding it. 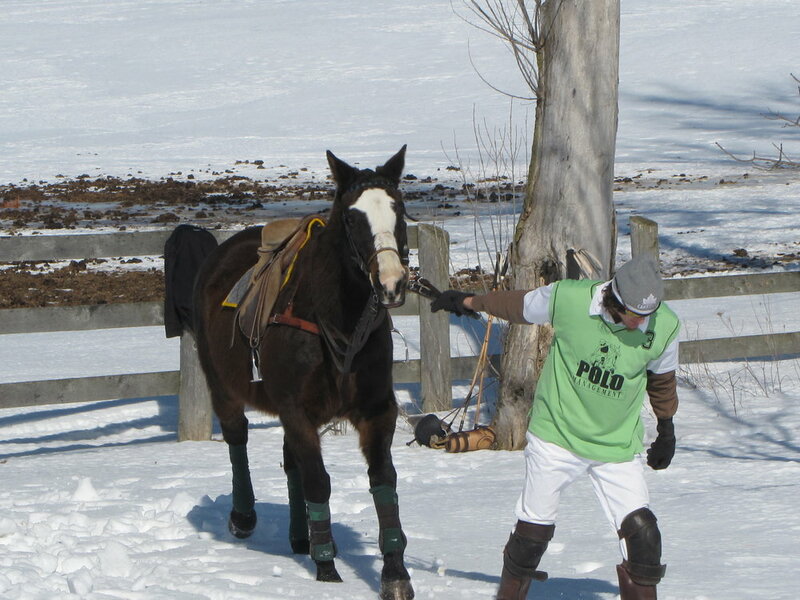 ‘Polo Holidays’ are a very real thing, and players that hail from colder climates, i.e. 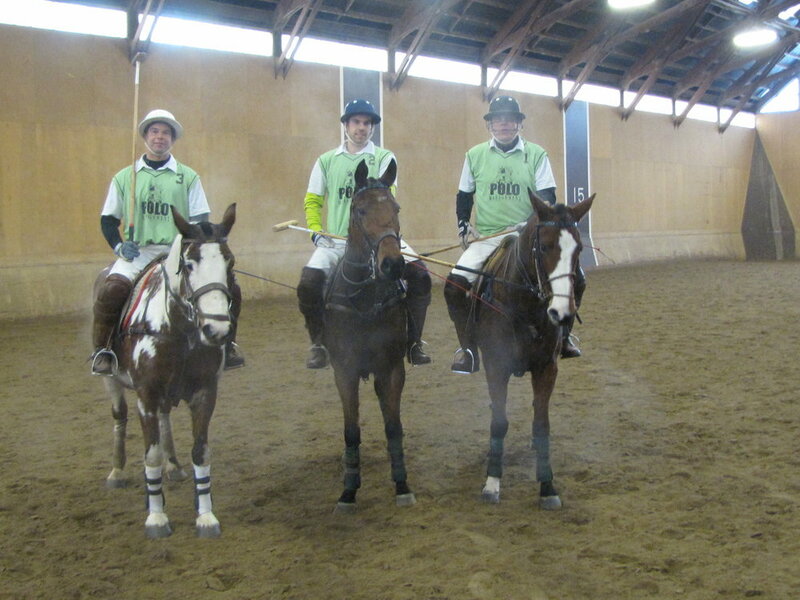 Toronto, often find themselves searching out the warm weather and green grass at least once a year when they’re suffering withdrawal from the adrenaline rush that is field polo. The most popular destinations for polo holidays are Florida, the Caribbean, and of course Argentina (the modern mecca of polo) but if you look hard enough you can find polo anywhere you happen to be traveling. The global network of clubs, players and teams gladly opens its arms to you once you’ve learned to play and before long you’ll find yourself fielding invitations to far corners of the globe to play with friends and acquaintances you’ve crossed paths with at some point or another on some polo field or another. And it’s not just an acceptance to the global community of players you gain by learning to play. You also gain an acceptance to the local community of players, in this case, the Toronto Polo community, when you learn to play. Polo is a very community-based sport with a thriving social aspect and every polo player wants more players to join the sport because that means more people to play with. With more players comes more competition; polo suffers without new players and players get bored of playing with the same people all the time, they like having new minds and horses out on the field to shake things up. And no polo outing is complete without some form of socializing, however minor, it is a team sport after all. From stomping divots to sitting around the clubhouse or pony lines before and after the match to a post-game debrief over slow cooked meat Argentine barbecue style, there really is no shortage of socializing in the polo world. Of course, people only make up half the polo equation, horses being the other half. And if you love horses, this is the sport for you. While it’s similar to other horse sports in the sense that it features a human-equine partnership, it’s different in the sense that in addition to that partnership there is also the human teamwork aspect. The polo ponies are also stunning creatures, and once you’ve felt the full power of what they can do you’ll never be able to go back to riding regular horses. It’s part of what makes the sport so addictive and appealing. As we’ve hinted at before, polo comes with a lifestyle and a culture all it’s own, a result of it’s long (2500 year) history and its presence all over the world. Certain traditions in the sport can be traced back as far as the sport’s origins in Persia others to colonial India, and many to the current dominance of the sport in Argentina, for instance the large presence of Spanish heard on the field. As a polo player you get to meet people from all over the world, learn about new cultures and the slight variations in different culture’s approaches to polo, while being a part of the unique ‘polo culture’ and maybe even a part of history. What more could you want from a new hobby? Not to mention, learning to play now will mean that you’ll be able to enjoy the best part of the summer and fall seasons in Toronto and be ready to participate in the annual player’s pilgrimage to Argentina this November. And even in the cold winter months, the Toronto polo season continues to function albeit in a slightly different format than in the warm summer months with the players and ponies moving indoors for arena polo and with the perfect conditions outside for snow polo. So there’s always a way to satisfy your desire to play once you’ve been infected with the ‘polo bug’. So, are you convinced yet? 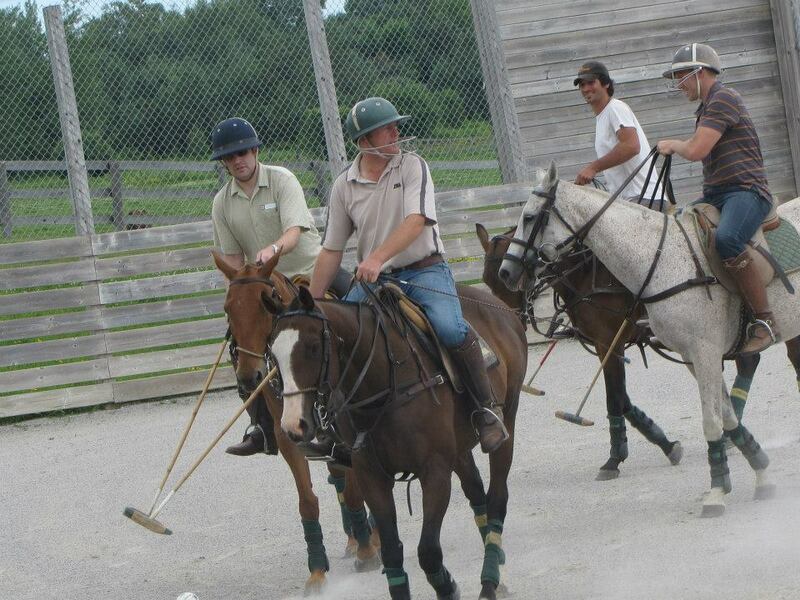 Want to sign up for our next one-day introduction to polo clinic? Check our events page for dates or email us at info@polomanagement.com for details and updated schedules. Last night we said goodbye to one of our beloved polo ponies, Nutria. She had a long career as a polo pony and won a numerous Best Playing Pony awards before becoming a school horse at the Toronto Polo School. In her role as a school horse, she taught countless beginners to play polo and was a favorite of many. Nutria was in her twenties and passed away peacefully in her stall last night from old age. She will be missed around the farm and by all the players she took care of.